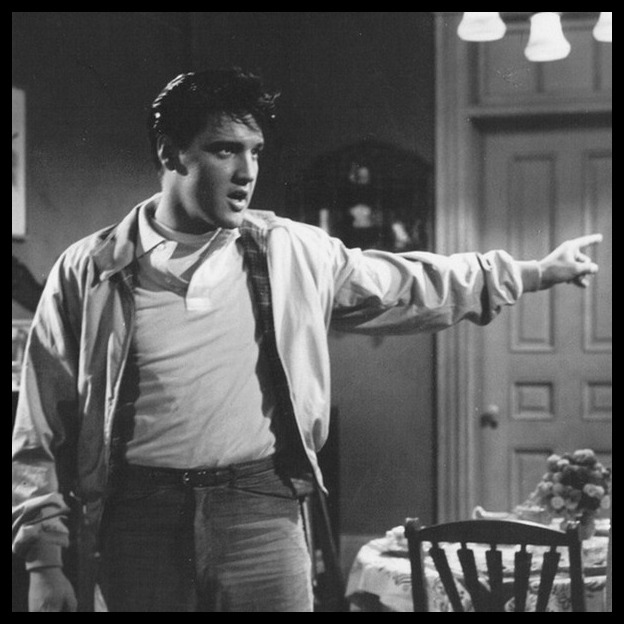 A cultural icon was born when Elvis introduced Baracuta‘s G9 model to the Silver Screen in King Creole (1958). 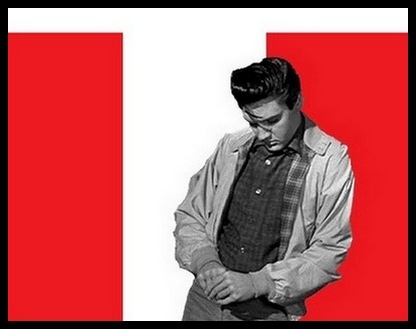 Since then countless famous actors and musicians have helped establish it’s name. 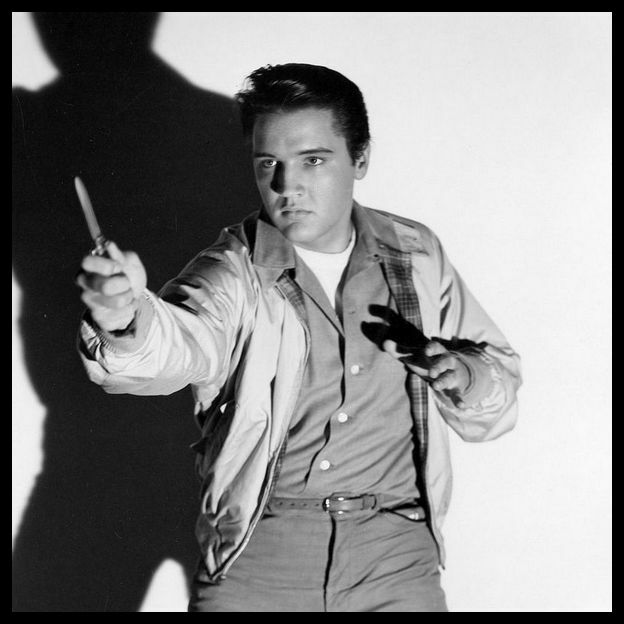 The Baracuta jacket saw the light of day in 1937 in England. In 1950 it was first exported to the USA and the original design has been in production ever since. Over the decades, many different subcultures (ranging from college kids to rockers, and from sports fans to mods) have adopted the versatile jacket as it’s own. Long before Superman (Christoper Reeve) and James Bond (Daniel Craig), there was Danny Fisher! 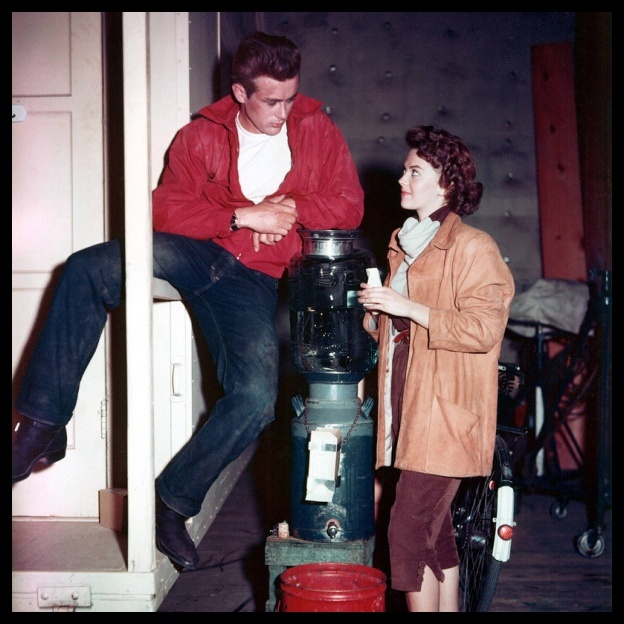 The iconic red jacket worn by James Dean in Rebel Without A Cause (1955) is often credited as being a Baracuta. 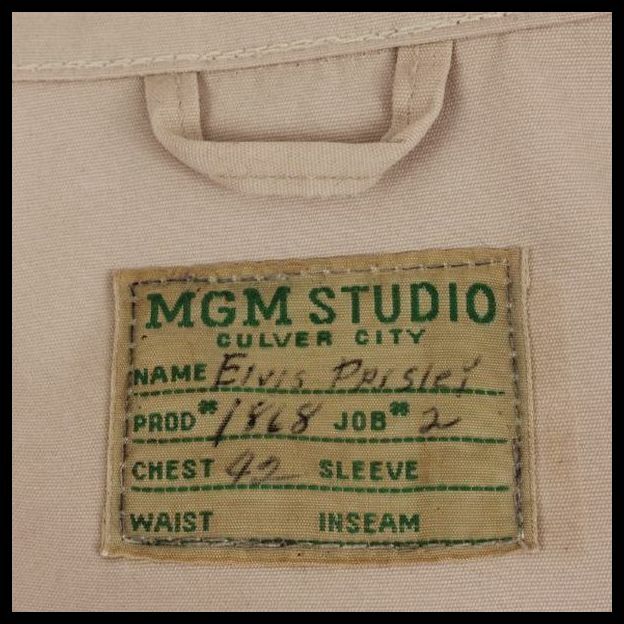 Over the years, different costume designers and different clothing companies have claimed it’s ‘true’ origin, but since the original jacket has never surfaced, there is no real proof to link the jacket to any person/company. 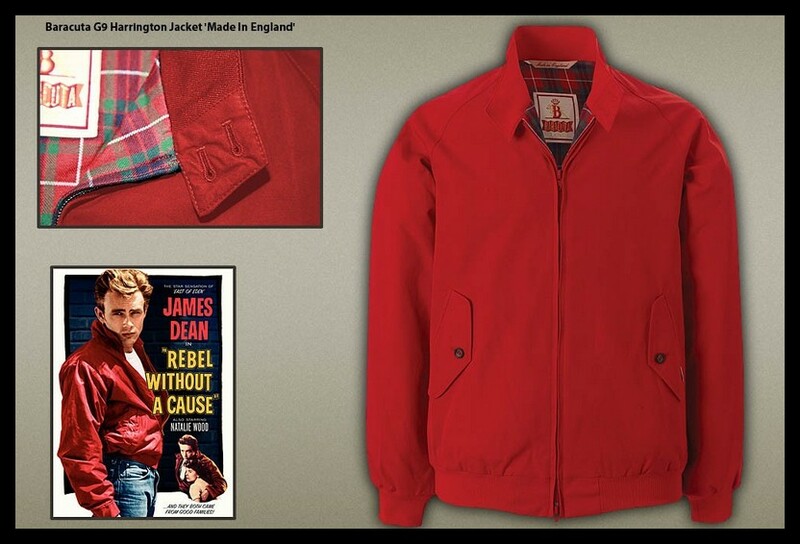 If it is in fact a Baracuta, it must have been custom made for the movie. 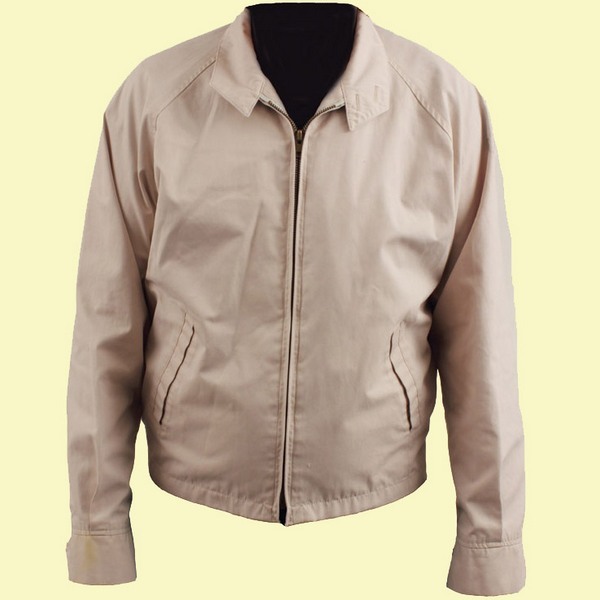 But it is more likely this jacket was a one-off (based on both the Baracuta and the McGregor windbreakers), designed specifically for Dean’s character. 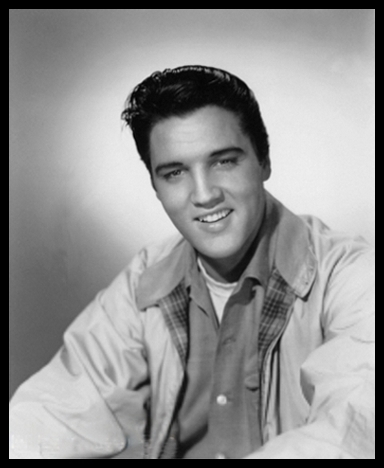 Since the jacket was introduced in the USA in the early 50’s, it had become popular among teenagers because many stars were wearing the jacket. 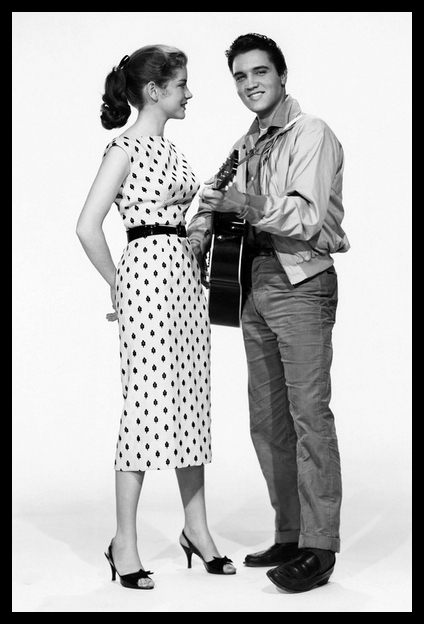 Next to Presley and Dean, also Sinatra helped popularize the G9. 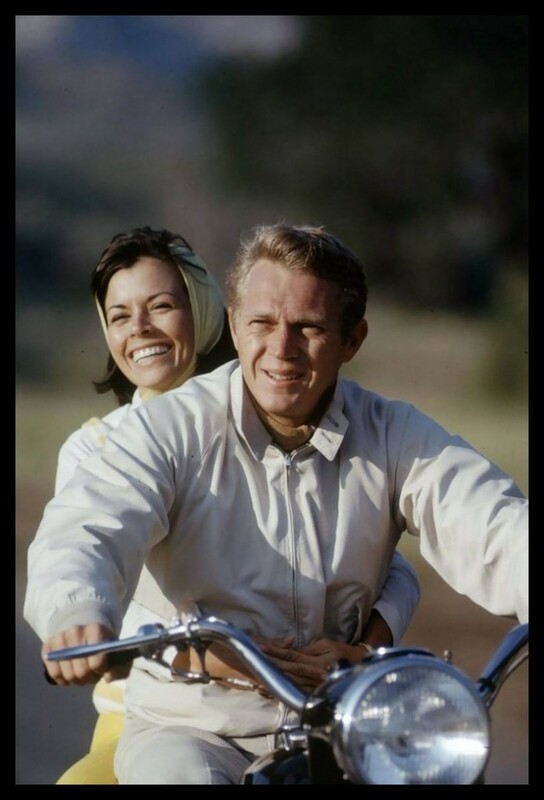 Since Ryan O’Neal often wore the jacket in the 60’s hit Peyton Place, the jacket even got itself a nickname: the Harrington, after O’Neal’s character Rodney Harrington! 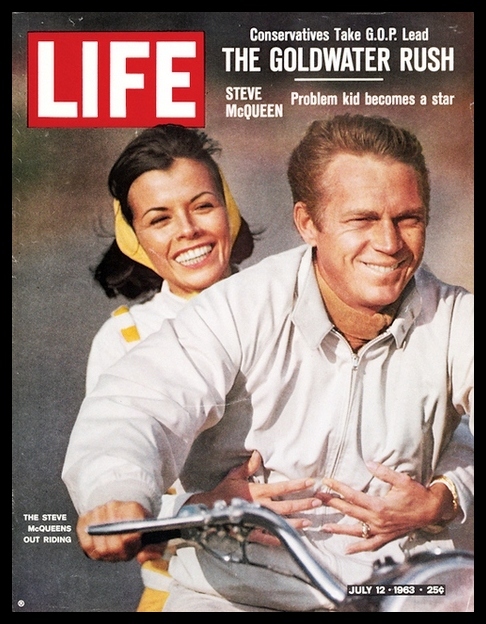 McQueen regulary wore the jacket, both on and off screen, and the Baracuta-company could not have wished for a better free commercial when Steve McQueen appeared on the frontcover of LIFE magazine in 1963 wearing his G9. 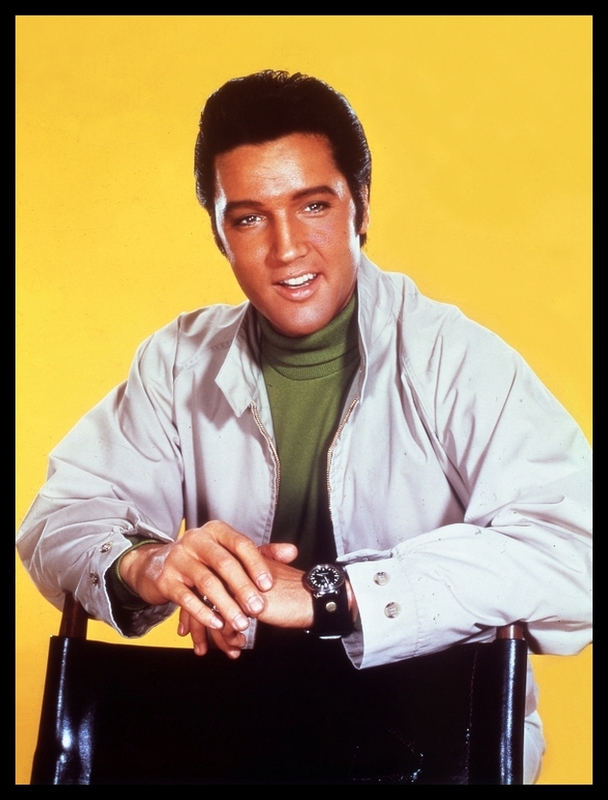 Exactly 10 years after King Creole, Elvis returned to wearing a Baracuta jacket in 1968 for Live A little, Live A Little. This jacket is the G4 model, and it has a few small changes compared to the G9. 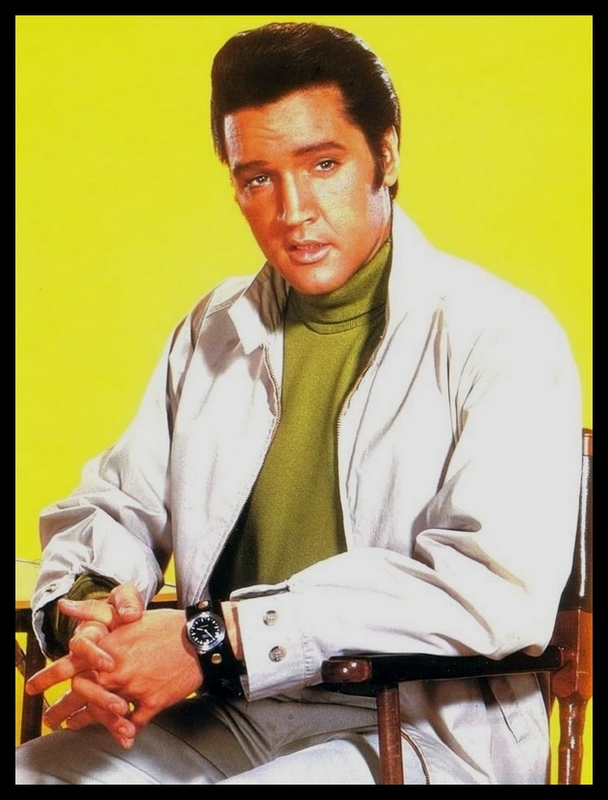 Even though the jacket came it many different colours, Elvis wore the exact same colour in both movies. 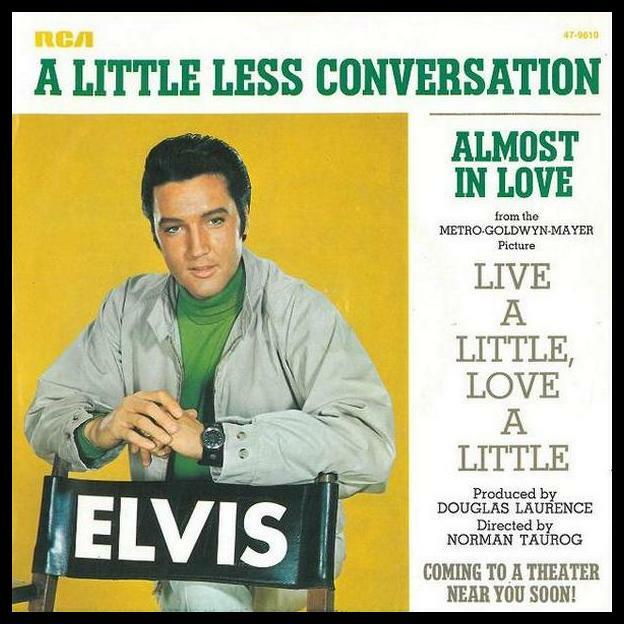 When A Little Less Conversation was released in September 1968, it featured an image from the above photoshoot. 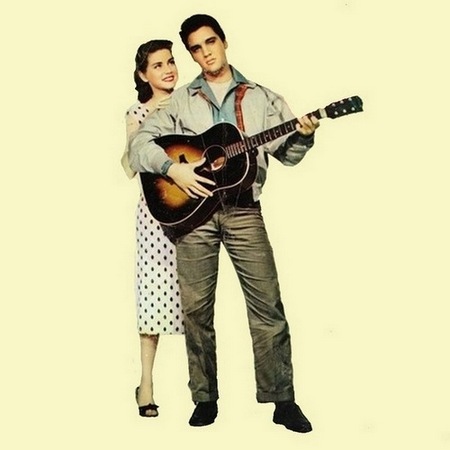 Notice also that Elvis’ name now appears on the chair he is leaning on (and nowhere else on the sleeve). A few years ago this jacket showed up in an online auction. 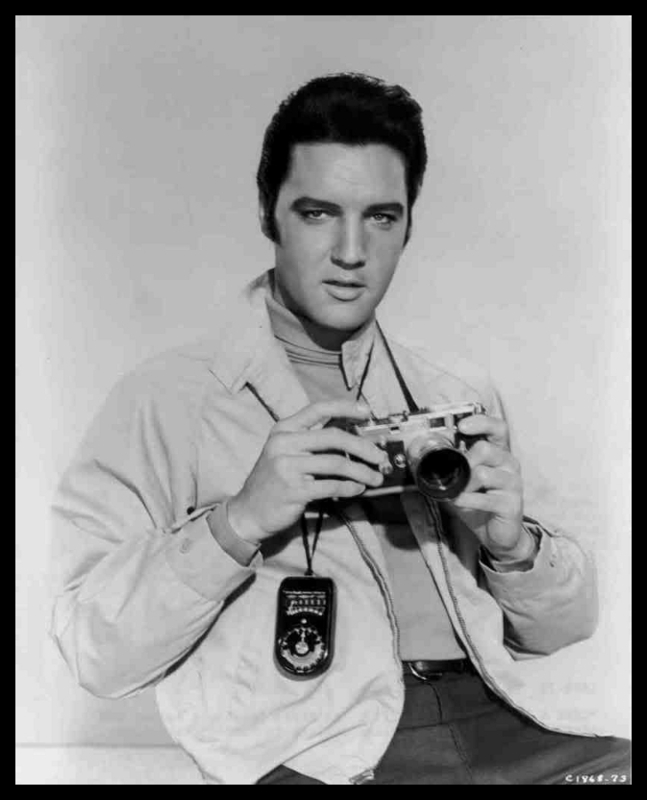 Instead of the original Baracuta logo, we can see the MGM Studio tag. This jacket eventually sold for a little over $ 5000,-. 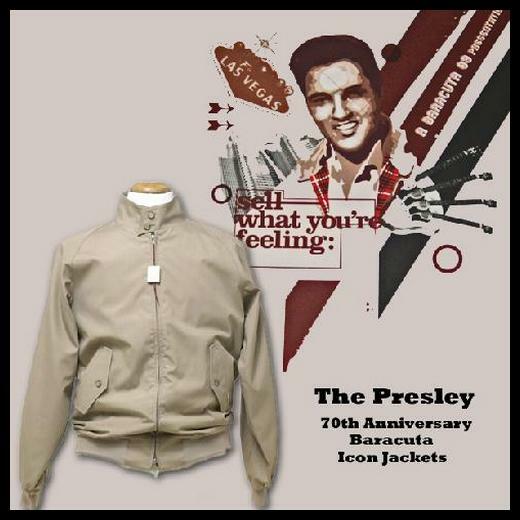 In 2007, on their 70th Anniversary, Baracuta produced a limited edition of their G9 (the ‘King Creole jacket’) in three versions, each of these featured a quote in the lining from the 3 people who had popularized the jacket. Next to The Presley, we have The Sinatra and The McQueen. Excellent topic! Nice to see the different style jackets thru the years! Great read and great pics and examples. Use to wear a Harrington for years. 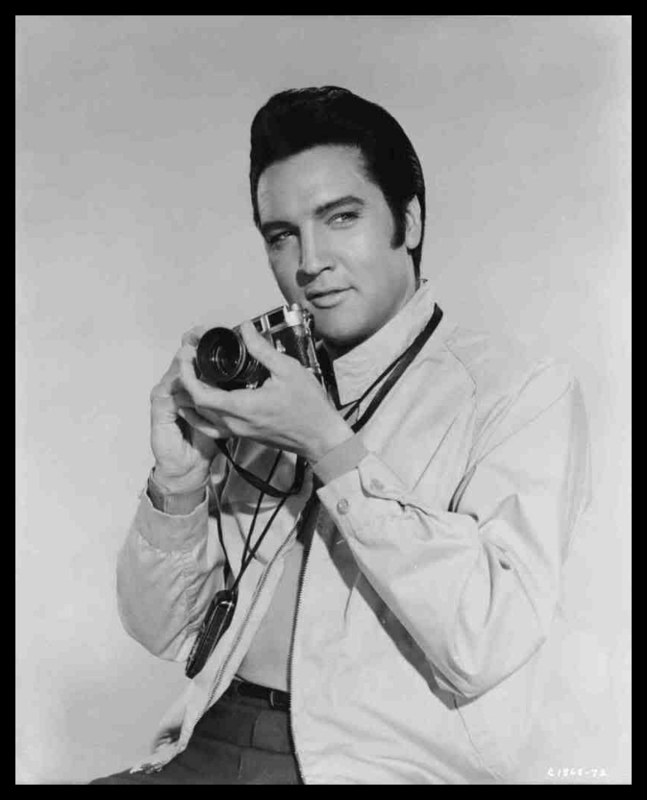 There’s only one ‘King of Cool’, and that’s Elvis.